Sabrina KHEMIRI is a researcher at the Finance Group of De Vinci Research Center, Paris La Défense. 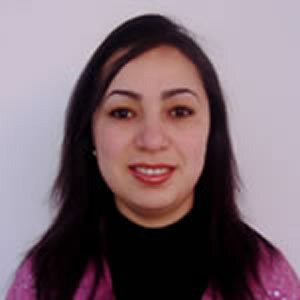 She holds her PhD in finance in 2009 from the IAE of Aix-en-Provence, Aix-Marseille University. Her research interests include financing choice, private equity and governance. She is associate professor at Pole Universitaire Leonard de Vinci since 2010 where she teaches financial strategies, financial engineering, portfolio management and data analysis. Khemiri Sabrina, Brinette Souad, Benkraiem Ramzi., Miloudi Anthony. Journal of Governance & Regulation, 7 (2), p. 49-56, 2018. Revue Gestion 2000, 31 (3), p. 51-63, 2014. The long term performance of ordinary shares and units issuersThis study aims to analyse the longterm economic performance of companies issuing ordinary shares and shares with equity warrants (Units). Based on a sample of 192 issues, the results show that the issuers of ordinary shares underperform during the period post issue and that the performance of the Units issuers grows after the issuance. Éditions Universitaires Européennes- Sarrebruck, 2011. The efficient-market hypothesis and its validity in the french stock exchange, 5th Annual American Business Research Conference Sheraton LaGuardia East Hotel, NY, USA, 2013. The aims of the paper are to test the validity of the Efficient-Market Hypothesis in the French Stock Exchange and to show whether the findings are sensitive to the frequency of data and the choice of proxies for the market. A certain number of tests have been carried out such as unit root test, ARIMA model, autocorrelation and normality test. The results of the tests for most part support the validity of EMH in the French stock market. However, normality and autocorrelation test show inconsistencies with EMH. This difference of findings means that despite the fact that EMH seems to hold, the French stock market is not perfectly efficient and present some inconsistencies. Concerning the impact of the data frequency factor, the ARIMA model shows that there is a slight difference in the results. Indeed, daily data appears to be more consistent with EMH concept that weekly data. However, the differences are not substantial to lead to a global conclusion. In all other test, no significant differences have been found between daily and weekly data. On the other side, the choice of the proxy has been found to influence substantially the results; in most cases, CAC 40 index has shown more consistencies with EMH than broader indices. Congrès de l’Association des sciences administratives du Canada Saint Jean, Canada, 2012. Congrès de l’Association des sciences administratives du Canada Saint-Jean, Canada, 2012.
International Finance Conference Hammamet, Tunisie, 2011. 6th International Finance Conference Hammamet, Tunisie, 2011.
International Finance Conference Hammamet, Tunisie, 2009.
International Finance Conference Hammamet, Tunisie, 2007. (767), Congrès international de l’AFFI Association Française de Finance Poitiers, France, 2006. The aim of this article is to formulate hypothesis about the pecking order of debt in an asymmetric information context and to show that this hierarchy serves as a signal about the firm’s quality, which will attenuate the under pricing of IPO due to reduction of asymmetric information. Based on the existing literature related to IPO, bank debt, bonds and convertible bonds, we argue that in asymmetric information environment, a firm that chooses the hierarchy, bonds then bank debt and finally convertible bonds, will emits a good signal about its quality . Consequently, the under pricing of its IPO would be reduced. 5ème Colloque International de la Recherche en Sciences de Gestion Hammamet, Tunisie, 2006.